WASHINGTON (AP) — Americans are feeling markedly better about the country's future and about Barack Obama's job performance, but the president's re-election race against Republican Mitt Romney remains a neck-and-neck proposition as Election Day creeps ever closer, according to a new Associated Press-GfK poll. Buoyed by good mojo coming out of last month's national political conventions, Obama's approval rating is back above 50 percent for the first time since May, and the share of Americans who think the country is moving in the right direction is at its highest level since just after the death of Osama bin Laden in May 2011. Romney, his campaign knocked off-stride in recent weeks, has lost his pre-convention edge on the top issue of the campaign — the economy. Obama is supported by 47 percent of likely voters and Romney by 46 percent, promising an all-out fight to the finish by the two campaigns to gin up enthusiasm among core supporters and dominate get-out-the-vote operations. That's an area where Obama claimed a strong advantage in 2008 and Republicans reigned four years earlier. Americans have been increasingly focused on the presidential race since the two candidates barreled out of their summer conventions into the fall campaign: Nearly three-fourths of adults say they're paying close attention now, up modestly from earlier in the summer. And with early voting scheduled to be under way in two dozen states by week's end, just 17 percent of likely voters remain undecided or say that they might change their minds. "I like what Obama does," she said flatly. Townsend, a Democrat, said she'll watch the upcoming presidential debates closely but adds, "No, I'm not going to change my mind." "I don't know that Romney knows how to state emphatically, with fire and passion and guts and all that other stuff, what he wants to do," she says. "I don't think he'll be a great orator. But I do think he'll get the job done." Among those voters still making up their minds or open to changing their positions — the coveted bloc of "persuadable" voters — 56 percent see their choice this year as a hard decision. Twenty-three-year-old Devin Vinson of Starksville, Mass., says he's waiting to hear more about the candidates' positions on education, foreign policy and more. "That was my first time voting and I just didn't really care about it back then," he admits. The poll shows most Americans say they have a good idea of what each candidate would do if elected, and 59 percent who know a good deal about both men think Obama will win a second term. For all of the recent positive signs for Obama, the public still holds some sour opinions on the economy. Sixty-one percent of likely voters describe the economy as poor. Just over half think the economic outlook has gotten worse over the last four years. And 57 percent think unemployment will get worse or stay the same over the next four years. But Obama has made some gains on economic expectations, with growing numbers of voters anticipating things will get better in the coming year. Forty-eight percent of registered voters think things will get better, up from 41 percent before the conventions. L'Tonya Ford, a 42-year-old Democrat from Detroit, said that progress on the economy has been slower than she'd like but that all signs point to Romney making things worse. Obama's "trying to do something," she says. "Give him four more years and let him do what he's doing." Romney lost his pre-convention edge on the economy as his campaign was distracted by criticism of his hasty response to the Obama administration's handling of the eruption of violence in Egypt and Libya last week and his failure to mention the war in Afghanistan or thank the troops in his prime-time convention speech. The two candidates run about even in the poll on who would best handle the economy or the federal budget deficit, but Obama has narrow advantages on protecting the country, social issues and health care. Just this week, after the poll was conducted, Romney has been getting flak for his caught-on-tape statement that he doesn't worry about the 47 percent of the country that pays no income taxes and describes them as believing they are victims and dependent on government. 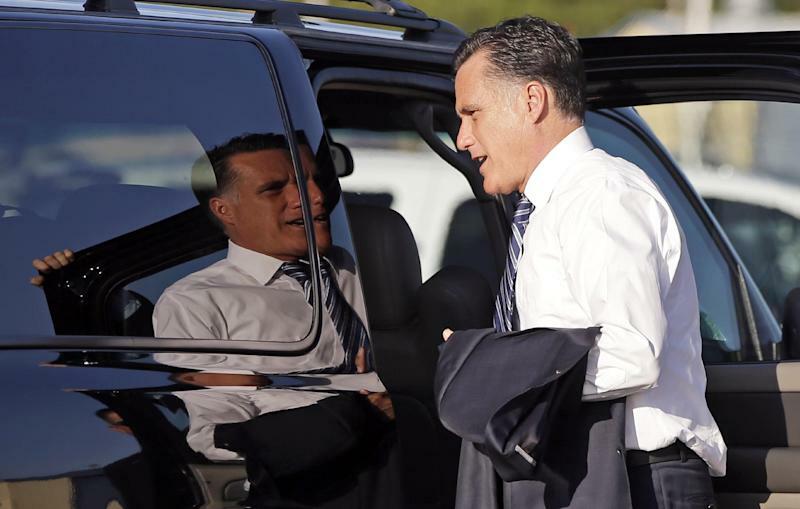 Romney advisers say the remarks may dominate news coverage for a time but they dispute the notion that the comments will fundamentally change the election. "This has not been the best three weeks in the history of American politics for the Romney campaign," allows GOP consultant Rich Galen. But he said the most significant trend is that the economy remains "a great weight around the ankles of Obama." The deciding factor may well be turnout. 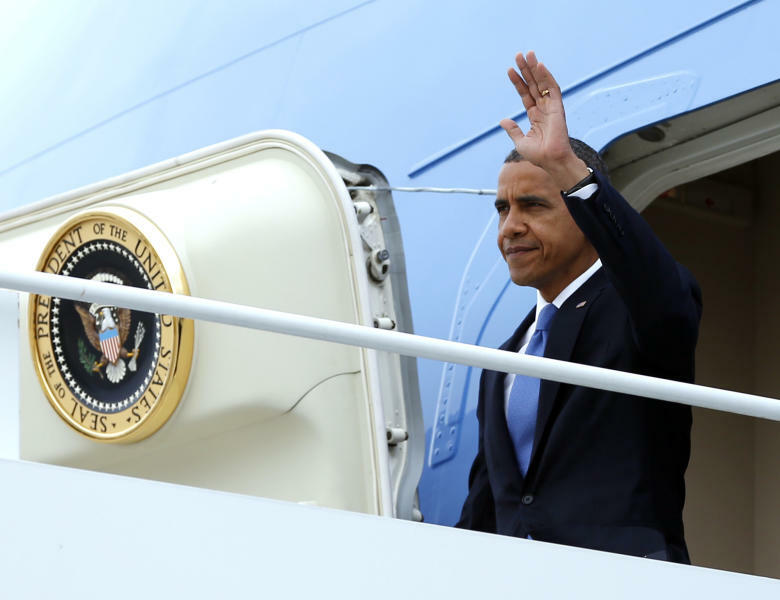 "If turnout reverts to normal presidential patterns, then Obama's likely to be in pretty big trouble," Galen said. "If he can catch lightning in a bottle again, then he should be OK."
Democratic consultant Chris Lehane, meanwhile, zeroes in on the significance of Obama's job approval rating edging back up above 50 percent. Fifty-two percent of likely voters approved of how Obama's handling his job, as did 56 percent of all adults. Further, 42 percent of Americans think the country is heading in the right direction, up from figures in the low- to mid-30s over the summer. "If you were buying a stock and you were looking at the underlying trends, you would be putting your futures on Obama," Lehane said. William Galston, a former Clinton administration official now at the Brookings Institution, said Obama's rising job approval figure "has to be regarded as a good leading indicator." "If that holds up, then his chances are better than they were a month ago, when his approval was stuck around 47 percent," Galston said. The Associated Press-GfK Poll was conducted Sept. 13-17, 2012, by GfK Roper Public Affairs and Corporate Communications. It involved landline and cellphone interviews with 1,512 adults nationwide, including 1,282 registered voters and 807 likely voters. Results for the full sample have a margin of sampling error of plus or minus 3.2 percentage points, for registered voters it is 3.4 percentage points and likely voters it is 4.3 percentage points. AP News Survey Specialist Dennis Junius and AP writers Stacy Anderson and Josh Lederman contributed to this report.